NPR News Nuggets: Shake Your Tail Feathers & A Heart-Warming Helper Here's a quick roundup of some of the mini-moments you may have missed on this week's Morning Edition. A peacock walks into a liquor store and smashes $500 worth of alcohol in between ruffling some feathers. But really. Tornadoes? They're no big deal for Theunis Wessels. Or at least that's how it appears. As Morning Edition host Rachel Martin said on Monday, there's a photo of the Canadian man that went viral last week. In it, Wessels is calmly mowing his lawn. That alone doesn't sound too out of the ordinary, until you can't help but notice the humongous black tornado swirling in the background. His wife and daughter tried to get him to come inside, but Wessels told them everything was OK — that the tornado was moving away from them. That appears to be the case because the family wasn't injured, and the terrifying twister disappeared shortly after. Lawn care is serious business and Mr. Wessels was not to be bothered. This is the stuff legends are made of. With that impressive wingspan, it's no surprise peacocks can do some damage in liquor stores. We all need to let loose sometimes, and peacocks, the exquisite birds that they are, are no exception. As Morning Edition host Rachel Martin said on Wednesday, there was a peacock chase that wasn't quite as crazy as a wild goose chase. That may sound like the start of joke, but this is completely real. 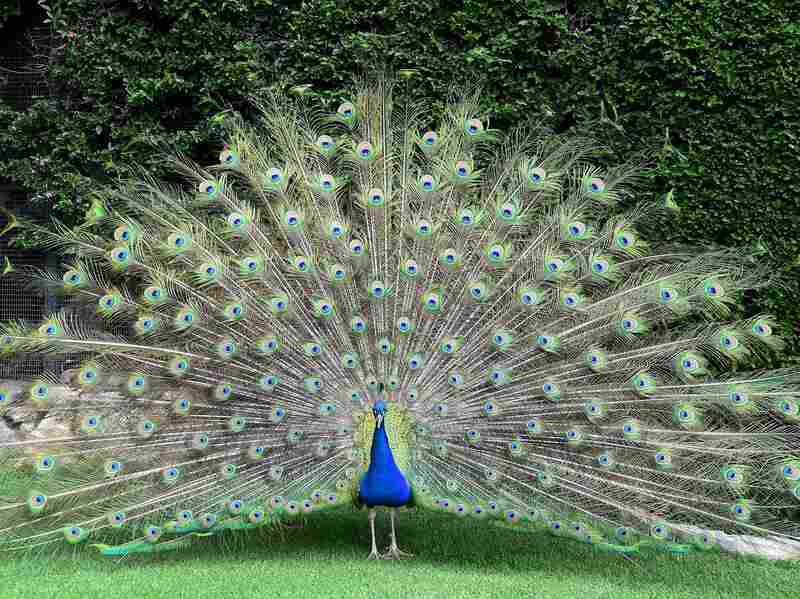 In Arcadia, Calif., a peacock wandered into a Royal Oaks Liquor Store. No one knows exactly what the curious bird was looking for — or if it has a preference in drinks. It did hang out on the top shelf though, so chances are it wasn't looking for anything sub par. Once the store owner realized he had an unusual customer, he called the local animal control to help him politely decline the bird service. Well, once the animal control officer got to the store, the peacock decided it wasn't leaving without a bit of a protest. As the officer tried to net the bird to take it outside, the bottles started dropping and shattering. The bird was caught and released, but not before doing some damage — approximately $500 worth. The store manager told KFOR, the local NBC station, "Yeah, he's got expensive taste. I'm like, 'You break, you buy, dude.' But clearly he didn't. He got away with it." 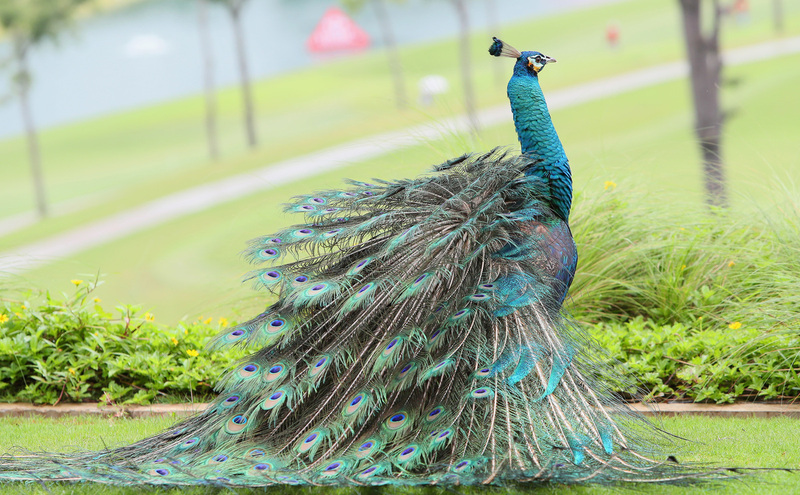 Yep, that peacock definitely ruffled some feathers. Help can come in many forms and from anyone, even those who may not have a lot to give. This story is a reminder of that. As Morning Edition host Steve Inskeep said on Thursday, a truck driver had a heart attack while he was driving down Interstate 89 in Vermont. As a result of the attack the driver, Paul Bristol, crashed. Bristol's life could have ended after that, but James Pocock was nearby and heard the sound of the crash. Pocock is a homeless man that was living in a tent in the woods near the site of the crash. Pocock, who knows CPR, helped keep Bristol alive until the rescue workers got there. Pocock is truly a lifesaver — and a reminder that anyone can help out.